Brain Quest – A Fantastic Voyage through the Progressive Mind. Out now! Why Do Socialist Diets Never Work? They are always burning other people’s calories. The Little Red Book. On sale at Smashwords now. Is That All You Could Find? I know, I know. There are way more than that. Just consider these 501 oddities to be, you know, Oddities 101 or something. Limited time ebook offer or something, folks. Also available at Smashwords, Barnes & Noble, iTunes, etc. Why do liberals love eating donuts so much? Buy this ebook and find out. The Little Red Book: Of Little-Read Jokes about the Enlightened Left for only 99 cents? No way. Or way? Also available at Amazon, iTunes, Barnes & Noble, etc. Enjoy! 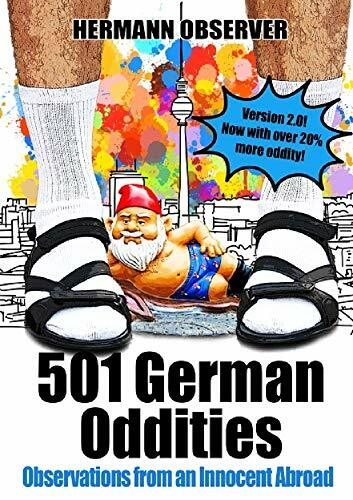 Whaddya Mean 501 German Oddities For Only 99 Cents? Why that’s almost 5.060606060606061 oddities per penny! Limited time offer or something. PS: Also available at Smashwords, iTunes, etc. Amazon employees (in Germany) have already been on strike for an entire week. The union Verdi is looking to disrupt the delivery of Christmas packages but our user survey (Frankfurt Allgemeine Zeitung) indicates that it isn’t having any luck. This survey indicates that 86% of Amazon packages have come on time – the other mail-order companies only managed 73% of the time. Von dem Streik bekommen die weitaus meisten Kunden nichts mit. Laut Umfrage ist Amazon sogar jetzt noch pünktlicher als die anderen Versandhändler. 86 Prozent der Amazon-Pakete aus unserer Umfrage sind pünktlich angekommen, von den anderen Versandhändlern waren es nur 73 Prozent. 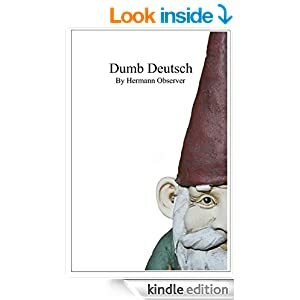 Still bitter about having lost his undercover job as a package deliverer I guess (he wasn’t used to actually having to work for a living) undercover undercover-journalist Günter “Undercover” Wallraff couldn’t help but have yet another fit about Amazon & Co. on German television last night. Good timing or something. It’s strike season in Germany again (still? ), as you know. Merry Christmas, Verdi! But at least he didn’t just stop with Amazon, for once. Wallraff is also very, very angry at German consumers themselves for not purchasing their products where he wants them to (anywhere else but Amazon). Geez, he’s saying. It’s like if you just let people do whatever they want to do they’ll end up doing whatever it is they want to do. And where would that lead us to? That’s right, to where we are now. His costumes really do rock, though. The one he was wearing last night (see above) was a little scary, though. It doesn’t get any cheaper than this, folks. Not for this ebook here, it doesn’t.